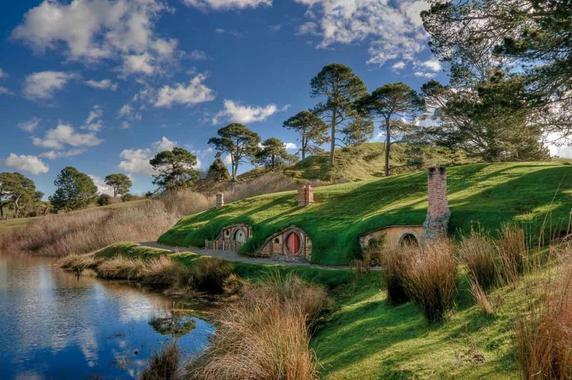 This small group tour is an easy day trip from Auckland to Hobbiton movie set as seen in ‘The Lord of the Rings’ and ‘The Hobbit’ trilogy. The day includes a fully guided tour of the set and we also include a sumptuous lunchtime feast in the Party Marquee. 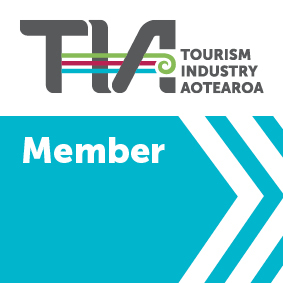 Our experienced guides look after you all day from pick up to drop off at your Auckland City Accommodation. 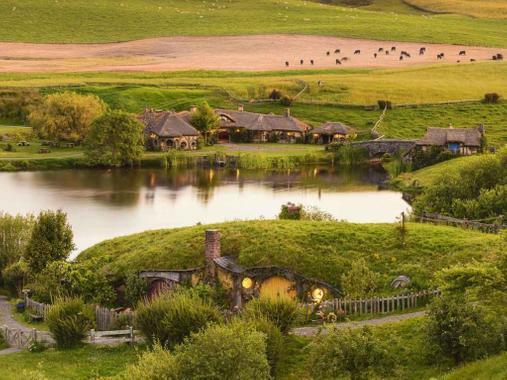 They include a full commentary on the way with insights into the areas you are travelling through and background to the movie set you are visiting. 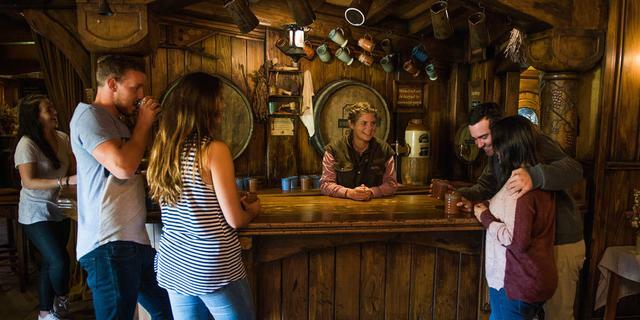 At Hobbiton we will take you down to the set itself and have one of the specialist Hobbiton guides take you on a walking tour around the 44 Hobbit holes. 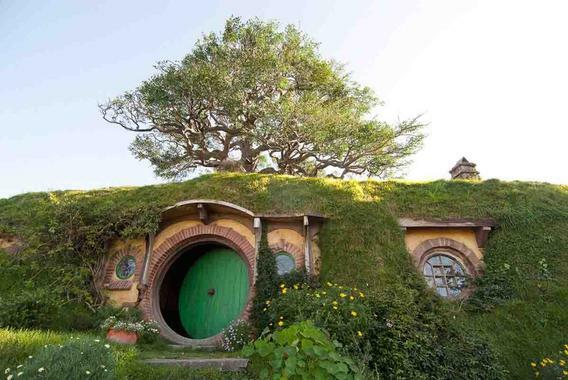 You will get the chance to have a photo in the doorway of a Hobbit house, see the Party Tree and stand by the gate to Bilbo’s house ‘Bag End’ overlooking the whole set to the hills in the distance. 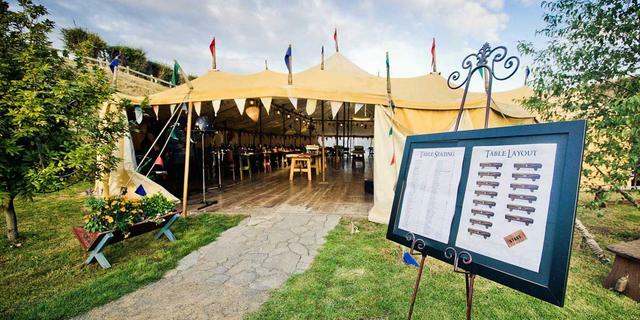 Before your feast in the Party Marquee (which is included in the price) you cross the bridge by the mill to go into the Green Dragon Inn where you can enjoy a complimentary ale, cider or ginger beer. 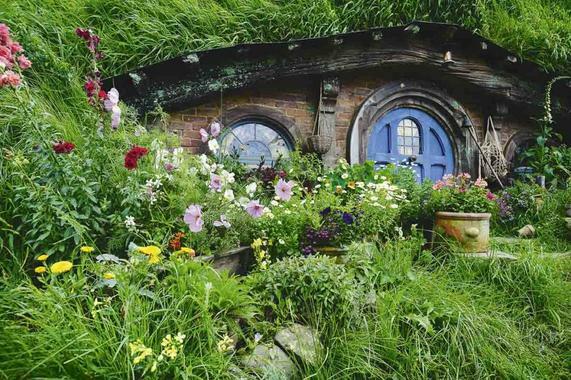 After lunch we’ll give you a $10 souvenir voucher to spend at the Hobbiton gift shop before we head back to your accommodation in Auckland, arriving back mid-afternoon before the traffic builds up. 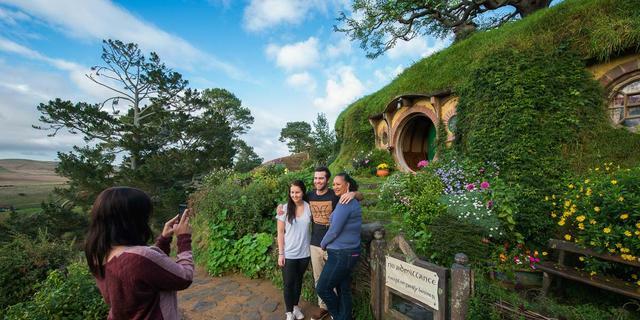 Bush and Beach have been running tours from Auckland to Hobbiton movie set for over 5 years and work closely with Hobbiton to make sure you get the most out of your time at Hobbiton. 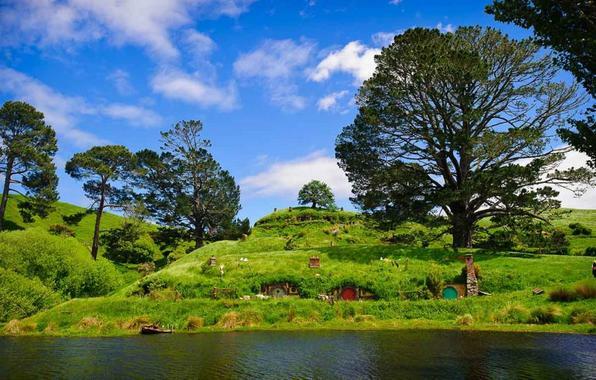 There is no need to change vehicles when you are travelling with Bush and Beach – our guides are with you all day and will drive you down to the movie set and pick you up from there after lunch.